This content is provided by Sleeping Dog Properties, Inc. Provided by Sleeping Dog Properties, Inc.
Use these expert tips to save money, energy, and the environment—all at once. If real estate agents are a good barometer for the state of the market, then things aren’t black or red, they’re green. In fact, 71% of realtors believe energy-efficiency to be a highlight in marketing listings, and 61% believe homebuyers care about the sustainability of their homes. With so many ways to save both the environment and your wallet coming out of the woodwork, reducing your home’s impact is easier and, in many ways, more fun than ever. From your living room to your kitchen and your bathroom to your bedroom, there are all sorts of ways to lessen the environmental footprint you leave behind and adopt more eco-friendly practices. 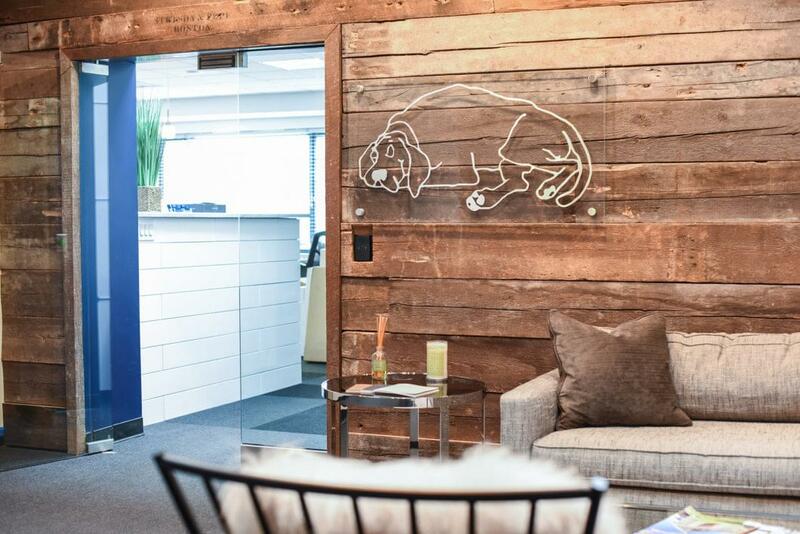 As far as green remodeling goes, it’s tough to find someone with more expertise than Christopher Rapczynski, founder and president of Boston-based Sleeping Dog Properties, Inc. Since 1993, he’s been helping homeowners with green home improvement initiatives and turning environmentally friendly home ideas into reality. 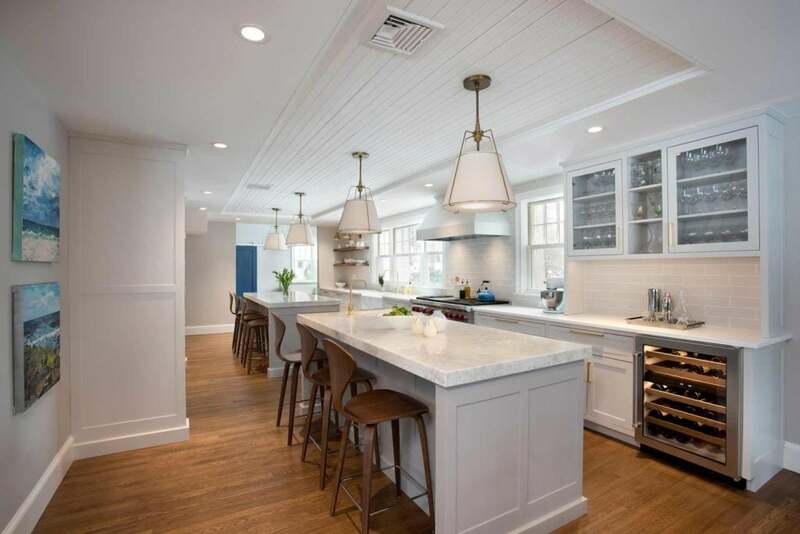 Whether you’re thinking about a complete remodel, a few simple upgrades, or just general things you can do to save energy and lessen your environmental impact, Rapczynski has tips for you below. When it comes to green home renovation ideas, the sun seems like an obvious place to start. After all, it is the ultimate source of clean and inexpensive energy, and the past decade has seen solar energy increase in popularity as it’s become more mainstream and accessible. Right now, it’s estimated that there are roughly 2 million homes with solar panels, and the number of homes with solar energy solutions are predicted to increase exponentially in the future. 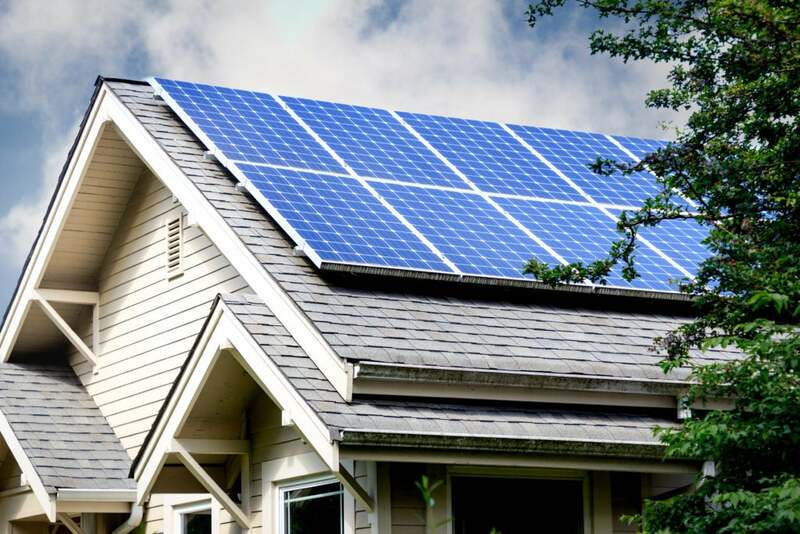 Residential installations of home solar systems are more affordable than ever, and when people see how much these systems can save them on their electric bills it becomes a sensible issue rather than a purely environmental one. However, Rapczynski notes that the process will involve more stakeholders than a single-family home installation would. You’ll need the support of your condo or apartment association before moving forward, but having an experienced contractor on your side will give you the support you need to advocate for this energy-efficient alternative. 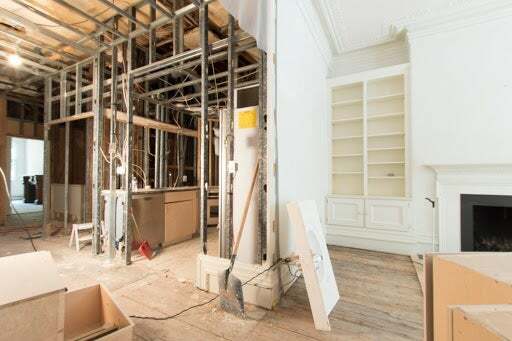 If you’re planning on remodeling your house or just a room within it, take a moment to walk around first and see what you can salvage and reuse before you go tearing down walls and knocking down entire rooms. In most instances, there’s a ton of material you’ll be able to salvage and reuse, which not only saves the environment, but also saves money. Your contractors should also keep an eye out for anything that can be saved, donated, or reused, whether it’s a computer part, kitchen appliance, or granite stone slab. “Maybe you’re thinking of replacing a certain chandelier or mirror in your living room or your dining room. Instead of just tossing it out, think about some other rooms where it might fit, like your kitchen or your bedroom.” Rapczynski adds. 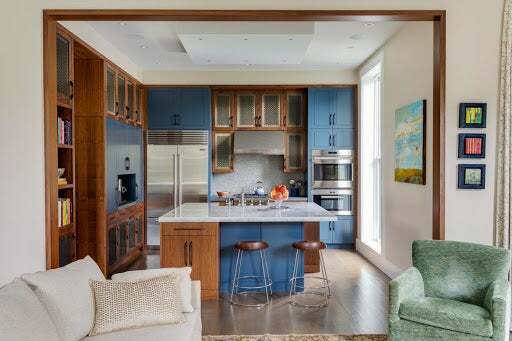 “Just because your living room is getting an upgrade doesn’t mean everything in it needs to be tossed out.” Reclaimed wood is another popular option for home remodel projects because of its unique design aesthetic potential, and low cost of sourcing. Reclaimed wood can also be very useful in a green-friendly remodel project, especially if you’re able to salvage it from the home itself, prior to demolition. If it turns out you can’t think of another room where the item-in-question would fit, see if you can donate it before you toss it. 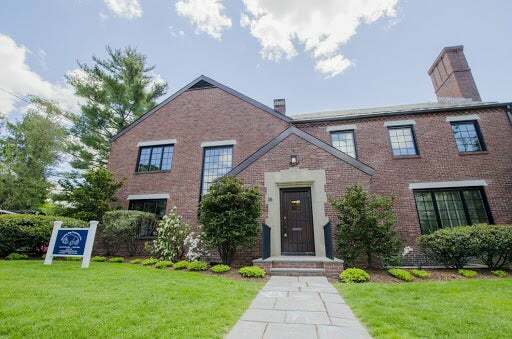 Whether you take it to a local consignment shop or donate to a local organization like Boston Building Resources, it will feel good knowing you’re not only creating a new home for you and your family, but also making it easier for another family to have a home they love. Nowadays, it’s fairly easy to spot the Energy Star logo when you’re shopping for common household appliances like dish machines, ovens, and refrigerators. Originating back in 1992, the Energy Star certification is a voluntary government-labeling program which assures consumers that manufacturers have taken appropriate steps to reduce greenhouse gas emissions through a number of approved methods. 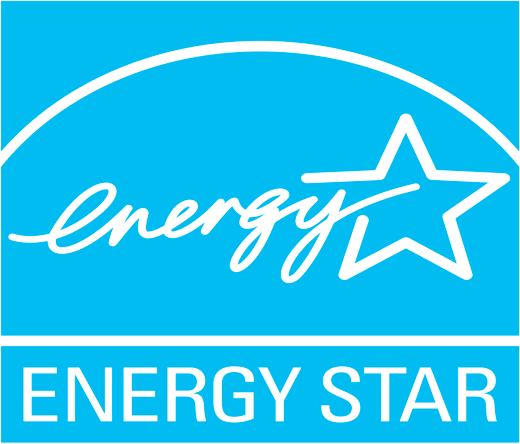 The Energy Star seal is especially helpful because many of these larger appliances use up more electricity. Having that logo to look for can help you know you’re doing the best you can from an environmental perspective, and it’s easy to do. In fact, it’s probably one of the easiest ways to make a difference when you’re taking steps towards green home improvement. Green home upgrades should always use materials with low volatile organic compounds (VOCs), which can be harmful to both human health and the environment. VOCs are emitted as gases which include a variety of chemicals and are usually much more common indoors than out. Various paints, varnishes, fuels, and other household items can release these dangerous compounds when they’re used, and many times there’s no indication they’re filling your home unless you know which health effects and symptoms to look out for (and there are a lot). As a result, contractors should take extra steps to be responsible with VOCs. This means, among other things, that they always look for materials with the lowest VOC emissions possible. 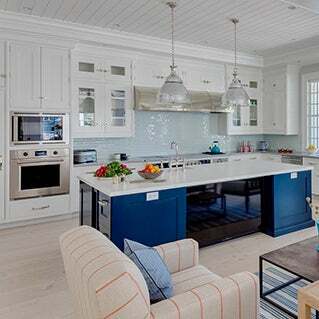 This might be more time consuming and expensive, but other times it can be as easy as finding alternatives like Benjamin Moore who produce a line of odorless, zero-VOC paint options. Either way, since decreased VOCs lessen the threat to both human health and the environment, it’s a worthy investment of time and money for homeowners looking for safer, more environmentally friendly home ideas. Air that leaks through your home from the outside can quickly rack up your monthly energy and utility expenditures. Therefore, the better insulated your home is, the more it will be protected from the elements outside. This means that your home will stay warmer in the winter, allowing you to keep your thermostat at a lower and more energy-efficient setting, while allowing you to save up on air conditioning expenses during the summer months. 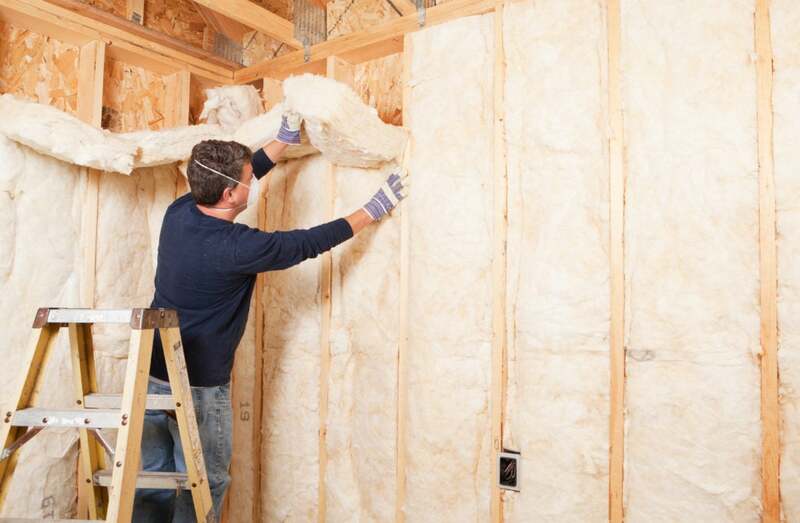 Unfortunately, many older homes don’t have enough insulation to provide these conveniences, which is why adding more insulation to bring things up to current standards has become one of the more popular green home renovation ideas in recent years. Rapczynski recommends starting with your attic. “For many, the attic is a great, quick, and relatively cost-efficient place to start, followed by the walls on your main floors and your basements and crawl spaces,” he says. As for the exact numbers, the EPA estimates that homeowners can save an average of 15 percent on heating and cooling costs by air sealing their homes and adding insulation in attics—not bad. Ironically, any green remodeling initiatives are going to produce a massive amount of waste. Fortunately, the vast majority of this waste can be recycled if you’re working with a contractor who prioritizes this. Rapczynski says that’s why Sleeping Dog Properties, Inc. uses a single-stream recycling system which allows the depositor to place all recyclable materials into the same container for collection, after which the materials are sorted on the processing side at a materials recovery facility. For more info on how Sleeping Dog Properties, Inc. can help you implement various green remodeling solutions, visit sleepingdogproperties.com. Sponsored by Sleeping Dog Properties, Inc.
Today’s home luxuries are tomorrow’s standard.